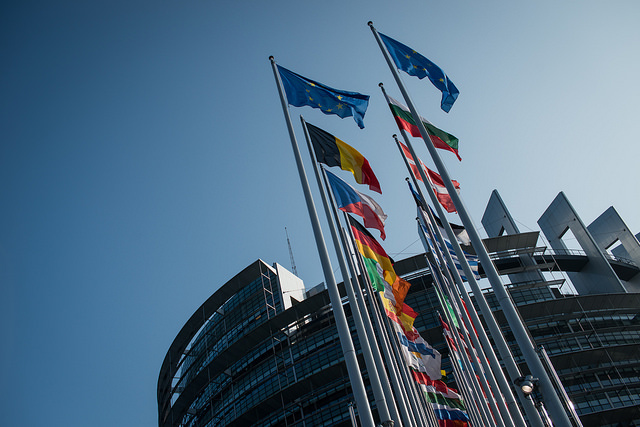 The Pledge for Election Integrity calls on candidates for the upcoming European elections in May 2019 to take a stand against election interference by increasing transparency and fight the use of disinformation in campaigns. Commissioners for the Transatlantic Commission on Election Integrity Michael Chertoff and Eileen Donahoe write for Reuters about the threat deepfake technology poses to our democracies. How does deepfake technology affect our democracies? The Transatlantic Commission on Election Integrity is examining this crucial question and coming up with solutions to fight disinformation and foreign election meddling. Anders Fogh Rasmussen speaking at a European Commission conference on preventing election interference. 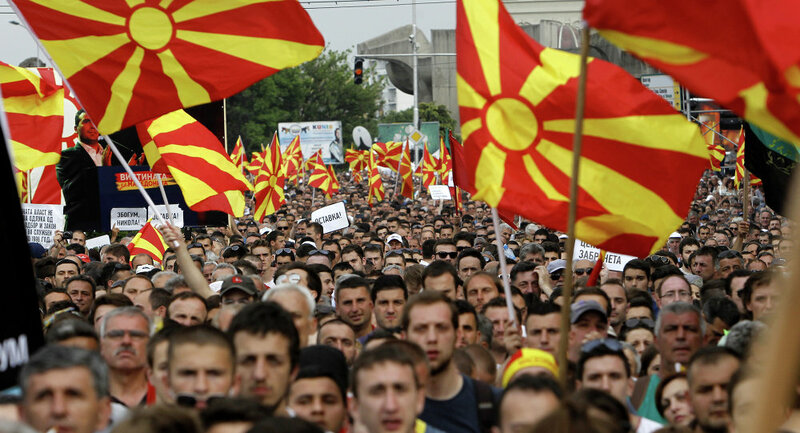 As Macedonia’s name referendum approaches, the Transatlantic Commission on Election Integrity has uncovered evidence that automated Twitter accounts have swung behind an effort to suppress voter turnout. 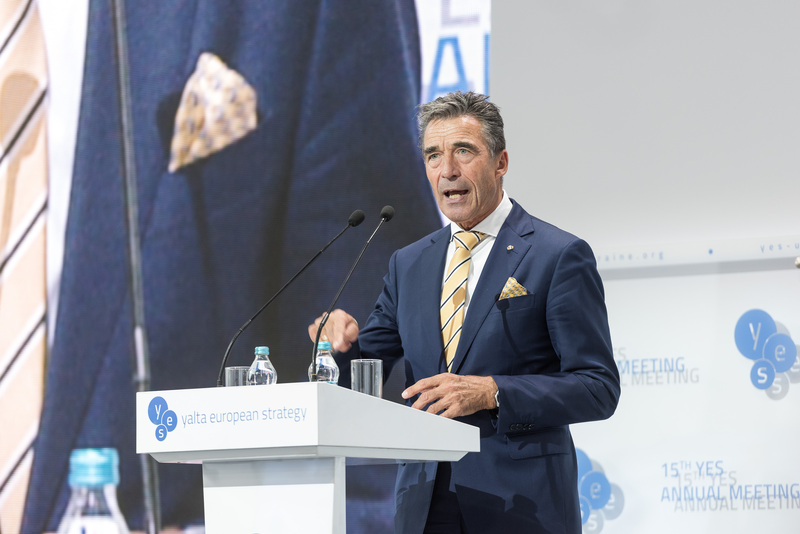 Co-chair of the Transatlantic Commission on Election Integrity, Anders Fogh Rasmussen explains the challenge of election meddling by foreign actors, and how it is likely to evolve in the coming years. 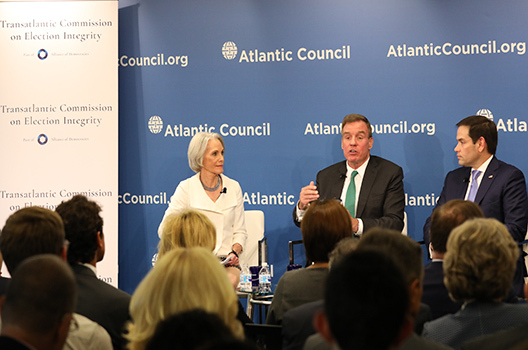 Introducing the Transatlantic Commission on Election Integrity, he describes just a few ways in which we plan to raise awareness of the challenge and develop tech tools to monitor and inoculate against foreign meddling in the future. Despite the recent bizarre election meddling double-denial from Presidents Trump and Putin, lawmakers from both sides of the Atlantic joined forces to demand stronger action against meddling and foul play. Governments, legislatures, social media companies, and civil society are all called upon to step up their efforts. 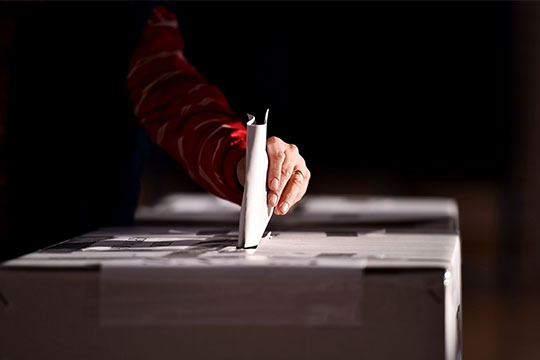 An early warning system to spot attempts to subvert elections is being developed by the Transatlantic Commission on Election Integrity, which was created to combat efforts to skew election debate. Its software scours social media and other parts of the net to hunt out attempts to seed subversive content. But experts warn nation states may answer with more sophisticated tactics. "We're trying to create high reliability and easy-to-use tools for civil organisations to use and see what's happening in real time so they can counter it," said Fabrice Pothier, a spokesman for the commission. A transatlantic, bi-partisan group of political, tech, business and media leaders are warning that neither side of the Atlantic is adequately prepared for the next wave of election meddling coming their way in 20+ major elections before 2020. The Transatlantic Commission on Election Integrity (TCEI) includes a former NATO Chief, US Homeland Security Secretary, US Vice-President, heads of state and senior political, media and tech figures. In POLITICO Magazine, Anders Fogh Rasmussen and Michael Chertoff, the two co-chairs of the Transatlantic Commission on Election Integrity, makes the case for transatlantic cooperation to ensure the protection of the 20 elections in the next two years, and the integrity of our institutions as such. 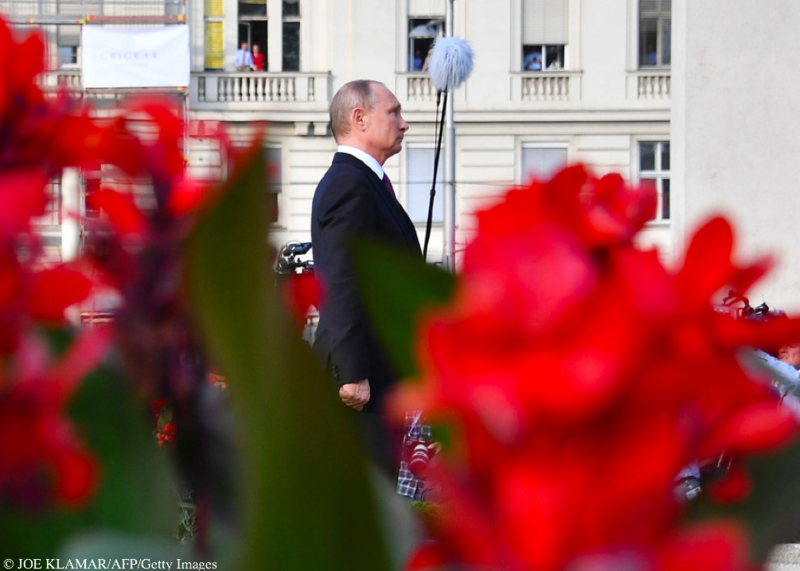 Looking at recent cases of election meddling in both the U.S. and Europe, and the patchy responses from our democratic institutions, there is every reason to believe that these elections provide 20 ripe new targets for Russia and others to interfere. 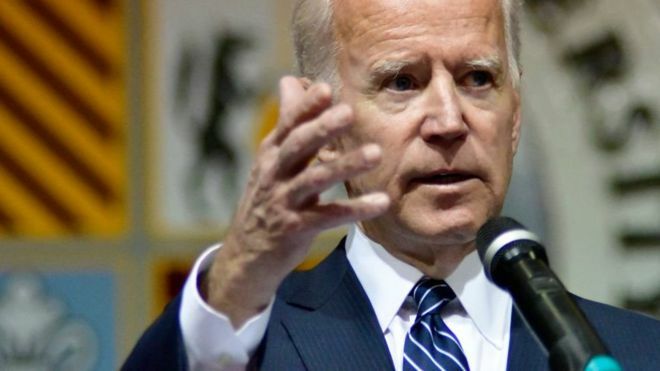 Ahead of the 2020 US Presidential Election, the transatlantic alliance will see over 20 critical national and transnational elections. These include the U.S. midterms in November 2018, Ukrainian Presidential and Parliamentary elections, and European elections in 2019. The Kremlin has a stake in all these elections. In the U.S. and the EU, it seeks to undermine trust in democracy and split the transatlantic alliance. In Ukraine, it seeks a more Moscow-friendly and anti-reformist administration and legislature. Recently-held ballots across the Atlantic raise legitimate concerns about interference in future polls. Responses have so far been largely fragmented among different agencies and actors, mostly focused on disinformation and “fake news”. Despite their growing critical role in various election campaigns, private sector and tech companies remain only tangentially involved in addressing these challenges. "This is an important step in defending our elections at home and abroad. I’m calling for the same kind of coordination in the DETER Act, and Congress should pass it without delay. We must work with our European allies to protect our democracies and deter Russian aggression." 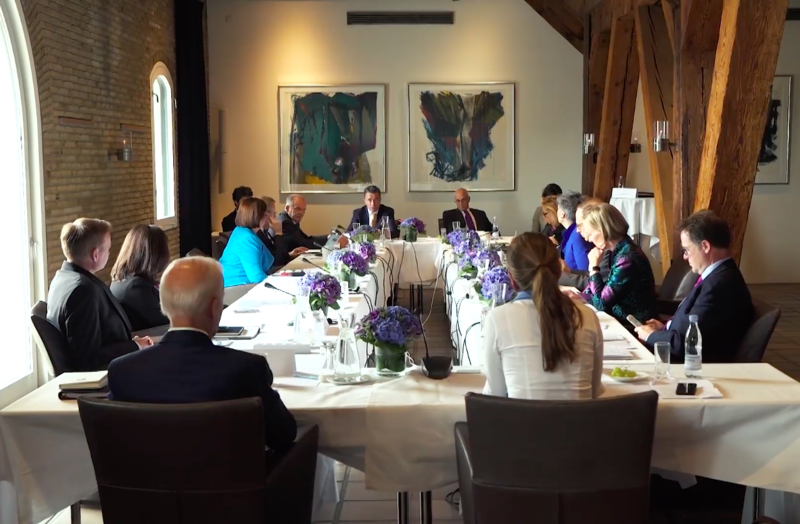 The Commission brings together around a dozen prominent public figures from both the U.S. and Europe with government as well as private sector and media backgrounds.